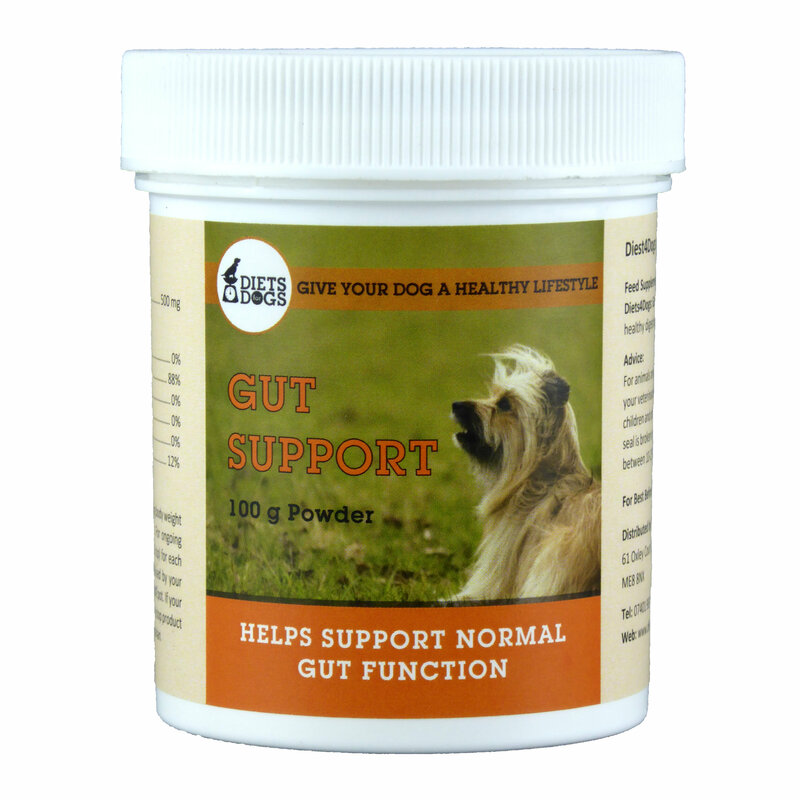 Diets4Dogs - Gut Support (100 gm Powder) is a simple clay powder designed to help maintain a healthy gut, regulate bowel function and promote normal stools in cats and dogs. This product is completely safe to use alongside any food diet or drug, and is really simple to administer on a daily basis where or diarrhoea is present, and for continued maintenance as necessary. Diets4Dogs - Gut Support (100 gm Powder) provides a geological nanomaterial which helps to clinically promote the normalization of stool quality, through increased absorption of bacterial enterotoxins and intraluminal water in the gastrointestinal tract. The clay is sterilized, free of heavy metal contamination, and ground for increased dispersion and rapid onset of action. This product comes with a 500mg scoop for ease and accuracy when dosing. Where diarrhoea is present, administer up to four level scoops with meals dependant on the severity of the condition. For dosing advice, please contact your vet. For continued maintenance, one scoop per day with meals should be sufficient, although severe cases may require more than this to ensure normal stool production, which should be as per vet recommendation.